Gnomes on Dope – G.O.D. I am building a religion. It won’t be very funny. One thing you can be sure. A virtual cult is hiding in the pages. Buy the Book ! It is better to be in a place that doesn’t fulfill. It is even better to be in a place of suffering. We desire neither. Our God is a jealous God. He knows how to get our attention. God wants vital men, men to wrestle with, men who screw up so bad, that nothing else but the real thing will satisfy them. He doesn’t want to share you with a warm and fuzzy church, or even your beautiful family, if they have become your source of comfort. If anything is going good in our lives, it just distances us from God. It becomes a substitute. We are depraved and God loves us to much to leave us there. We live in a bubble where even the pangs of birth and death are anaesthetized. The cries of the innocent dying of starvation, disease and violence are but distant thoughts we may get to next week if our schedule allows. 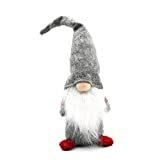 According to folklore, gnomes are believed to bring good luck to your garden. Now you can also bring..
One of a race of imaginary beings (Hardly), first conceived as spirits of the earth, inhabiting its interior and that of everything earthly, animal, vegetable, or mineral. 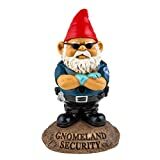 The gnomes ultimately came to be regarded as the special guardians of mines and, malicious in all other relations, and extremely ugly and misshapen; while the females of the race, called gnomides, not more than a foot high, were endowed with supreme beauty and goodness, and, being the special guardians of diamonds, were chiefly known in the countries that produced them.Swift on his sooty pinions flits the gnome, And in a vapour reach’d the dismal dome. Pope, R. of the L., iv. 17.